Science Gallery London is a truly unique project that encapsulates the transition from STEM (Science, Technology, Engineering and Mathematics) to STEAM (Science, Technology, Engineering, Art and Mathematics). Opening its permanent space at London Bridge in 2018, Science Gallery London will merge the exciting research conducted at King’s with artistic expression. As part of the Global Science Gallery Network, it provides a worldwide platform for the coexistence of scientific research and creative media in collaboration with local universities. ‘Blood: Life Uncut’ was Science Gallery London’s latest exhibition and series of events themed around the biological essentiality and uniting power of blood. As the exhibition drew to a close, Roar had the opportunity to discuss the gallery’s past season and plans for the future with exhibition curator Andy Franzkowiak, and Marketing Manager, Emma McLean. How do you come about deciding the theme of an exhibition, in this year’s case ‘Blood: Life Uncut’? EM: Our seasons will be defined with research at King’s at the heart of them. We are a part of King’s, we sit within Cultural Engagement and it is very important to us that we are a conduit for public engagement and telling people what is happening. That being said, we must also foster a vision for the collision of art and science as well as health. 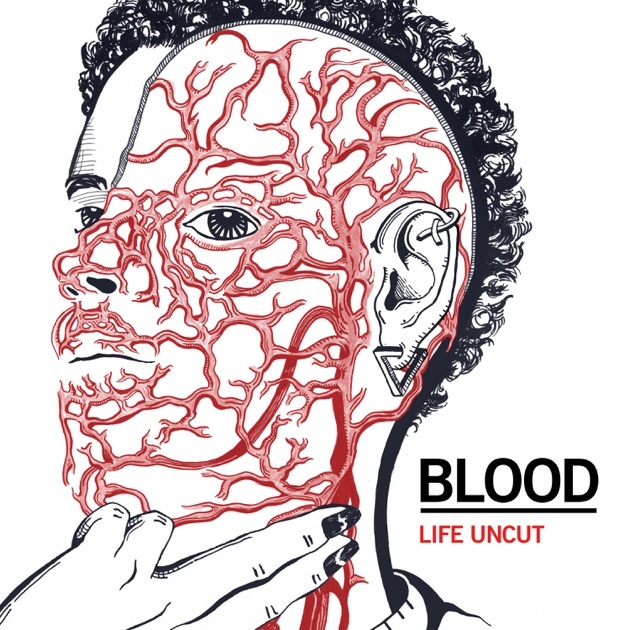 ‘Blood: Life Uncut’ is an obvious example that prominently reflects that objective. Nonetheless, future seasons might emphasize more on other fields such as physics and chemistry. The theme of ‘Blood’ was run by the Science Gallery in Dublin, but we have adapted it to the environment of the university and London itself. AF: In addition to an arts advisor, our curatorial team included three academics from the university such as Professor Mike Shattock from the Cardiovascular Division, truly showing the link between academia, research, King’s and art. Blood has a huge history both artistically and of course scientifically. We wanted this exhibition to matter to Londoners in 2017 because this is the time when we discuss things like Brexit, different identities and the sense of individualism. In the midst of all this, blood is so representative of all people and a uniting force, especially from a biological point a view. Blood matters to everybody on the planet. We wanted this exhibition to matter to everyone. Does the work at the Science Gallery involve those from both artistic and scientific backgrounds? EM: Absolutely. We have an open call process which is at the core of our curatorial process, so you could be an artist or a scientist or even neither to submit your work. AF: This year we had 330 submissions for ‘Blood: Life Uncut’. A team of us along with our curatorial team looked at all of them individually. The curatorial team itself is made up of people with both scientific and research backgrounds. The main space for Science Gallery has not opened yet, so this year’s season was in a pop- up environment. Did this work successfully and were there any particular challenges? AF: It drives creativity. We worked in Copeland Gallery in Peckham which is an old industrial unit so you can be quite playful and versatile with these types of spaces. The building itself contributed in creating a personality for the exhibition. The magnitude of the space allowed for us to give the artwork room for it to breathe. We were fortunate to find a space that played very well with the artwork and the theme. At the end of this exhibition, what has the response, especially from young people, been when looking back at this particular season? AF: The response has been really wonderful to be around. The way the works are presented is approachable and conversational but there’s a real depth because there’s always an interesting collaboration between an artist and a scientist. The artwork serves as a starting point to conversation. The conversation can be about gender politics, health, migration, depending on what people pick up. EM: Looking after our social media channels, the community seems to self- moderate. People have questions about the artwork and others help them to understand. For example, one of the artworks presented is a model of the uterus made of icing sugar, to raise awareness for women living with blood disorders. Through social media, this particular piece triggered discussion between virtual strangers. It was great to see people having authentic conversations about the art between themselves without our direct involvement. Science Gallery is a flagship project of King’s. How can students get involved with this project? AF: Science Gallery involves the public. People get a chance to experience the ideas fostered in the university in a way that in other circumstances would not happen. Ideas that students have can be discussed with us and taken to the public. ΕΜ: You can apply to be a mediator. This position is not just a front-of-house- role, but you are an active part of the exhibition and event. Mediators interact with visitors, listen to feedback and encourage participation. King’s students are at the heart of this. Even in its preliminary exhibition, we can note a bright and intriguing future that appears to await Science Gallery London upon its opening in 2018. Whether you study science, or simply possess an interest in it, the gallery will undoubtedly provide an artistic space to be examined and enjoyed by all. To find out more about Science Gallery London, click here. To register your interest, follow the link here. Photo Credit: Science Gallery London.